January 6, 2014 is the date for activation of the Internet-based Provider Enrollment, Chain and Ownership System (PECOS) edits that will result in denial of home health claims if the ordering physician is not enrolled in PECOS or officially opted-out of Medicare. In order to protect against non-payment by Medicare, home health agencies must verify enrollment of all ordering physicians. The Centers for Medicare & Medicaid Services (CMS) clarified in their most recent communication (MLN Matters Article SE 1305) that claims denied because they failed the ordering/referring edit will not expose a Medicare beneficiary to liability. Therefore, an Advance Beneficiary Notice is not appropriate in this situation. CMS also informed HCAF and the National Association for Home Care & Hospice (NAHC) that since the beneficiary can not be held liable for services ordered by a provider who is not registered in PECOS, no notice is to be given because the beneficiary can not be charged. CMS’ position would prohibit the beneficiary from choosing to privately pay for services even if informed of Medicare non-payment in advance of the initiation of care. HCAF advises that home health agencies should not initiate services for beneficiaries who are unable to identify a PECOS-enrolled physician to assume ordering responsibilities for episodes of care beginning on and after January 6. Physicians approved to order home health services are limited to doctors of medicine, osteopathy, and podiatry. The NPI must be that of the individual physician, not a group or organization. Home health agencies must report the name of the physician who ordered services on the RAPs and claims – i.e. the physician who signs the plan of care. The edit will compare the physicians NPI and the first four letters of the last name as they appear in PECOS. Information such as middle initial, nicknames, credentials, or titles may be included on electronic claims as long as they do not appear in first or last name fields on the claims, and must never appear on paper claims. If the PECOS information differs from that in NPES or licensure files, agencies should verify and document that identity was confirmed but only use PECOS information on claims. Enrollment status should be verified upon referral – at the start of care – and on the date of all subsequent episodes. For multiple physician names, by importing the agency’s ordering physician list into the NAHC PECOS toolkit, which contains the latest CMS PECOS enrolled, and pending datasets. Note: a new file must be downloaded twice a week when CMS updates the Ordering Referring File. NAHC has developed the NAHC PECOS Toolkit, which contains the latest PECOS dataset along with the latest PECOS Pending dataset available to NAHC as supplied by CMS. The toolkit allows NAHC members to check a physician’s existence in the PECOS database. Please Note: A new file must be downloaded every time CMS updates the dataset. You may also individually check if a physician is in PECOS by using this free search tool at oandp.com. If the “from” date of a claim is prior to January 6, then it will not hit the denial edits and the episode will be paid in full. Claims will always be paid in full if the ordering physician is enrolled in PECOS as if the “from” date of claims – i.e. the start of episode – even if the physician dis-enrolls prior to the end of the episode. RAPs are not subject to the edits and will continue to process as they do now. The date the physician filed an enrollment application that was subsequently approved. For PECOS applications, this is the date that the contractor received an electronic version of the enrollment application and a signed certification statement submitted via paper or electronically. The date the physician first began furnishing services at a new practice location. Please click here to view MLN Matters Article SE 1305 which provides more details on the PECOS edits. Palmetto GBA this week released questions from a convening of the Home Health Coalition that took place in Charlotte, NC on June 10. The coalition is made up of state association executives including HCAF’s Bobby Lolley. HCAF requested questions from Medicare providers last month to submit to Palmetto representatives. CMS issued the following message this morning announcing delay of PECOS edits that would result in denial of home health claims when the ordering/referring physician is not enrolled in PECOS. 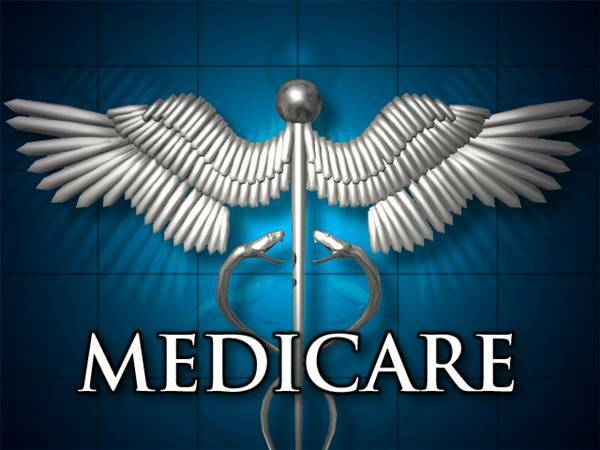 May 1, 2013 is the date for activation of the Internet-based Provider Enrollment, Chain and Ownership System (PECOS) edits that will result in denial of home health claims if the ordering physician is not enrolled in PECOS or officially opted-out of Medicare. In order to protect against non-payment by Medicare, home health agencies must verify enrollment of all ordering physicians. In the industry’s efforts to collect and share with the Centers for Medicare & Medicaid Services information about ongoing problems with PECOS enrollment, every home health agency is encouraged to visit the National Association for Home Care & Hospice website at www.nahc.org and complete the survey at the bottom right hand corner of the home page. The survey asks how many of the physicians that ordered home health services for patients during March were not enrolled in PECOS. Click here to take the survey, and stay tuned to HCAFeHighlights for survey results when they’re available. The following information was excerpted from a Centers for Medicare & Medicaid Services MedLearn Matters article that was posted early yesterday, but later pulled back. The National Association for Home Care & Hospice has since learned that the article was posted sooner than intended. It will be reposted by CMS on Friday, March 1, 2013. Home health agencies must ensure that all ordering/referring (for home health certifying) physicians are enrolled in PECOS since failure to do so will result in denial of any claim submitted on or after May 1, 2013 that does not pass the edit. MLN Matters® Special Edition Article #SE1011, “Edits on the Ordering/Referring Providers in Medicare Part B, DME and Part A HHA Claims (Change Requests 6417, 6421, 6696, and 6856),” was revised and is now available in downloadable format.